One of the most spectacular vantage points on the TT Mountain Course now benefits from a fully revamped grandstand for Classic TT presented by Bennetts. The 140mph corner between Creg-ny-Baa and Signpost offers fans a sensational TT experience, and all within easy reach of Douglas. The main grandstand area will be the only location on the course to feature overhead and side cover along with comfortable grandstand seating. For those who prefer to be right out in the open to enjoy the racing there is an additional outdoor seating area to fully appreciate the assault on the senses that is the Classic TT. 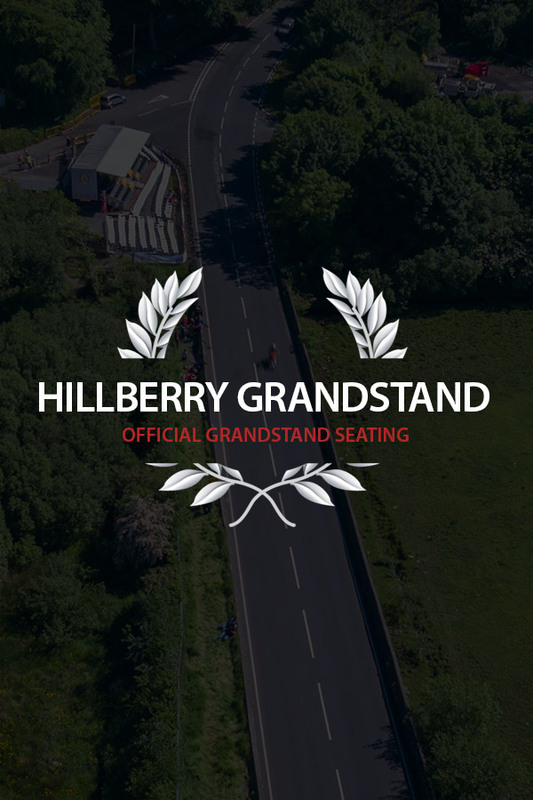 The Hillberry Grandstand is operated by Duke Logisitics ('Duke’) in association with the organisers of the Classic TT. Full terms and conditions of purchase are availabale on request. The following important terms relate to schedule changes at the TT. POSTPONEMENT: In the event of a whole day's racing (or practices) being postponed you are entitled to EITHER a full refund OR to use the ticket on the following day subject to space being available. This transfer option is not available beyond the day following the originally scheduled day. CANCELLATION: Refunds are only available in the event of a whole day's race or practice schedule being completely cancelled. If ANY race or practice activity takes place on the TT Course on the originally sceheduled day, you are not entitled to refund.